Designed and built for CTE. ClassMate CTE is the Student Administration and Data Management software system designed and built just for CTE programs. 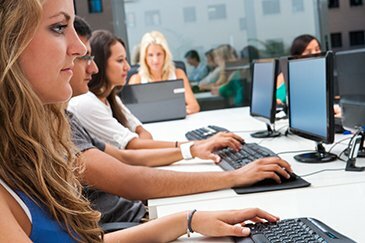 The only way to prepare your students for post-secondary placement or direct entry into today’s workforce is to give them the exact right tools they will need to achieve successful outcomes on their unique individual journeys. To do that, you need the right tools yourself. The needs of CTE programs are different from those of K-12 schools. That’s why you and your team need a data management software system that is built from the start to do what you need it to do, the way you need to do it. ClassMate CTE is that software. ClassMate supports you as you train students for the high-skill, high-wage, high-demand jobs of today. While you make them college- and career-ready, ClassMate will track the data to help tell the story of how your students succeed. 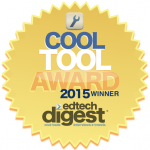 Simplify data sharing between your CTE program and multiple school districts. Easily measure CTE completers and calculate completion status based on CTE programs of study in order to meet Perkins compliance regulations. Save time and improve success rates by enabling your students to review available courses and sign up to study the most applicable programs for their individual needs. Conveniently organize the training process, manage course curriculum, and track student progress for better results. Track technical competencies, which leads to proficiency at completing industry certifications and improved ability to obtain gainful employment. Follow up with students after they graduate in order to guide them in securing employment or a post-secondary education. Enable students to build online career portfolios that can be shared with prospective employers. Sort through local employers, link students to them, and maintain work schedules so that students can gain real-world experience in the career pathways of their choice. Generate training plans directly from the software to create a clear set of on-the-job tasks for each student to complete. View work performance evaluations directly from employers. NEW — Discover Pathway EXP for CTE Pathway Completion tracking! Centralize all your student data. Record & monitor attendance & certification hours. Map curriculum to career pathways. Facilitate Perkins Funding regulation compliance. Increase faculty and staff productivity. Improve workflow efficiency with online registration, course tuition, and district billing.